Grafted onto a vigorous rootstock (C. Macrophylla) these trees are fast to establish given the correct conditions. Hardy to –3ºC they are recommend for indoor growing in the UK, they can however be grown outdoors in a pot and moved inside during winter months. Planting into a garden in a warm spot, protected from hard frost is possible but be advised extra protection will be required and for these conditions we recommend our hardy variety. Trees are expected to flower in the spring following delivery, fruits ripen throughout the year ready for harvest during October – December. All trees stand 100-120cm tall (including pot) and were grafted a minimum of 18 months ago. The yuzu tree is a hybridisation of a sour mandarin and the lemon like Ichang papaeda. It is from the Ichang papaeda that the yuzu inherited its ability to stand cold temperatures. 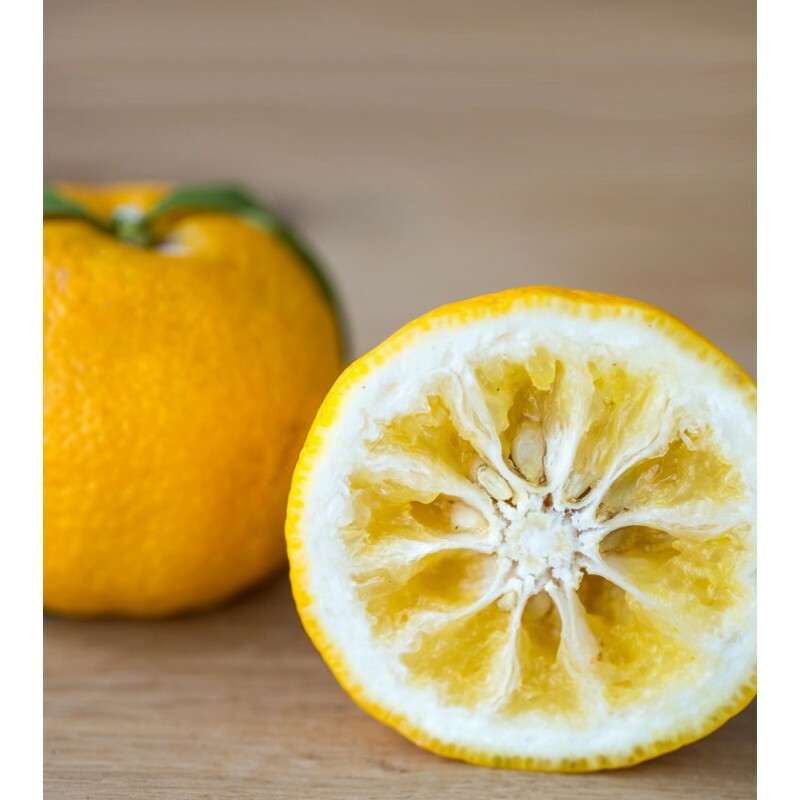 Yuzu is the best known of the Japanese citrus fruits, the juice combines grapefruit and mandarin flavours with unrivalled zest. The skin of the fresh fruit carries a powerful hit of citrus with a striking, floral aroma. An essential element of Japanese cuisine, yuzu is used to flavour ponzus, soy sauces, miso, honey and chilli paste. European chefs have embraced its famously tart juice in dishes as wide ranging as fish and white meat to sorbets, ice creams and cheesecakes. Yuzu juice and zest are also big hits with the cocktail crowd and a yuzu gin & tonic tastes like discovering the drink all over again for the first time. PLEASE NOTE: DELIVERY OF YUZU TREES TO EU DESTINATIONS WILL MOST LIKELY INCUR A SURCHARGE. YOU WILL BE NOTIFIED OF THE COST PRIOR TO SHIPPING. AT THAT TIME YOU MAY CHOOSE TO PAY THE OUTSTANDING SUM OR CANCEL THE ORDER. In containers use free draining compost, additional perlite or hardwood bark will improve drainage if the compost does not already contain these. Irrigation should be controlled to maintain the compost moist and never saturated. Re-pot every 1-2 years increasing the size of the pot each time. If you choose to move your tree in winter remember to use a light pot. Raise the base of the pot above the surrounding ground to allow for free drainage of any excess water. Water logging is the most common ailment in the UK climate so please follow the drainage advice above and prevent the tree sitting in water. 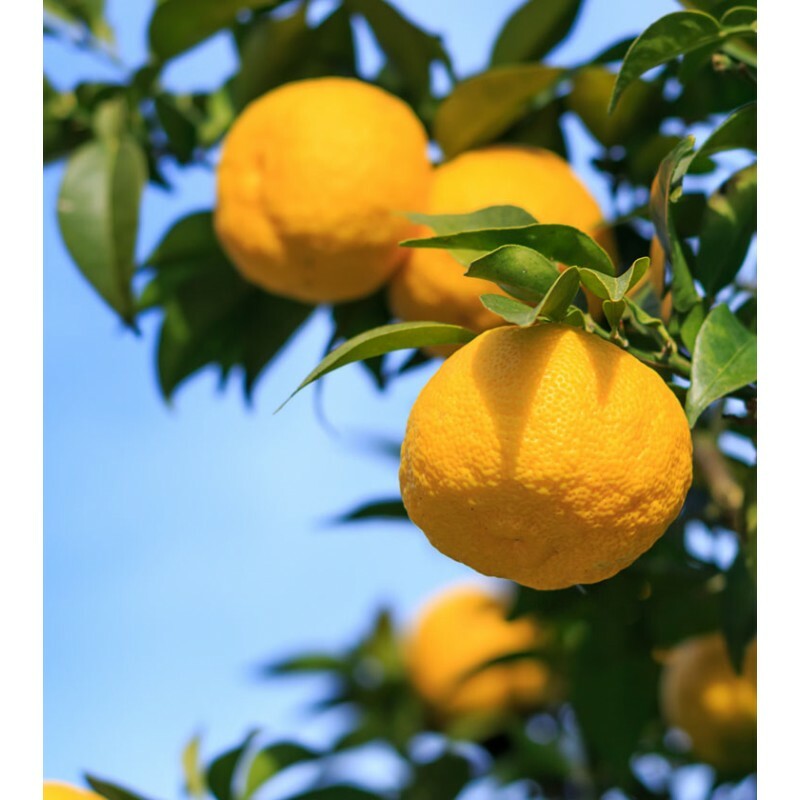 A controlled release citrus fertiliser applied in spring will support growth, liquid fertilisers should be applied in low strengths little and often to prevent excessive levels. 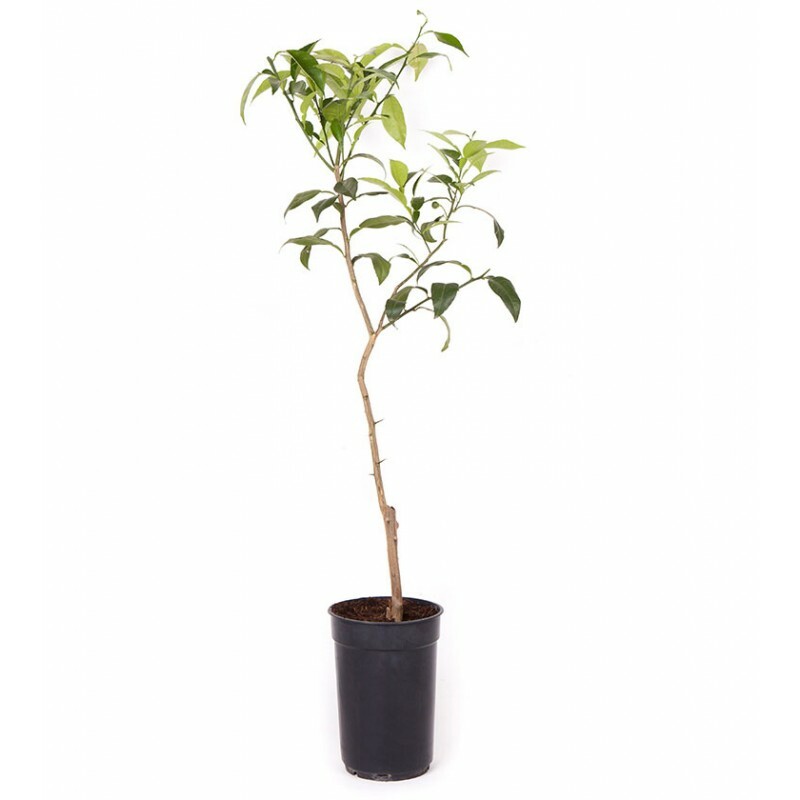 All citrus trees require a minimum one month period of temperatures below 12ºC for optimum spring flowering. If flowering is prolific ion the first two years it is recommended to remove some of the fruits when very small so the tree is not over burdened. A first and second year harvest of 6-12 fruits is considered sustainable. A controlled release, nitrogen rich citrus fertiliser applied in spring will support growth, liquid fertilisers should be applied in low strengths little and often to prevent excessive levels. The most likely pest attack would come from aphid or mites. Encourage natural predators like ladybirds, lacewings and spiders. If evidence is seen a spray bottle filled with water and a couple drops of mild dish detergent will usually deter them. Keep trees dust free (mites loves dust) by gently rinsing the leaves with a very mild soap or rinsing outdoor trees with a hose every couple of weeks. All citrus trees require a period of night time temperatures below 12ºC for optimum spring flowering. If flowering is prolific in the first two years it is recommended to remove some of the fruits when very small so the tree is not over burdened. A first and second year harvest of 6-12 fruits is considered sustainable. Be warned, yuzu trees wear their hardiness on the outside sporting sharp thorns that will make themselves known if not handled with care. These can be removed if they are a hazard. Trees may sprout shoots below the graft, these should be removed as soon they are observed. Highly fragrant, small white flowers appear with the spring and fruit is ready to harvest in October – December for a seasonally citrus lift to Christmas and the New Year. Pick from the tree when the skin is a bright yellow. Dark spots or stains on the skin are normal and a sign of ripeness. Any early fallers can be used green for an extra tart yuzu juice. The zest is of both ripe and unripe yuzu is added to soups, dressing, drinks and is used as a topping to sushi and fish. If you have a bumper harvest yuzu freezes whole with excellent results for both the juice and the zest. A rich, nutty flavour with a supremely delicate texture this is the epitome of fine sesame..